Logan and Luna’s family live in the big city where everything is rushed and busy. On the weekends, they love to visit Grandpa at his serene lake house by the woods. Together, Logan and Luna sneak away from Grandpa’s house and discover an incredible secret in the woods that will change their lives forever. Join Logan and Luna as they explore the vibrant world of reading and adventure. "The story of Logan and Luna, two siblings who love to dream, will appeal to children and the adults who read to them. My hope is that it encourages everyone to live in a world where reality can be just as magical as fiction!" "Let your imagination run free on this nature filled story where two siblings discover the hidden secret of the magic tree." 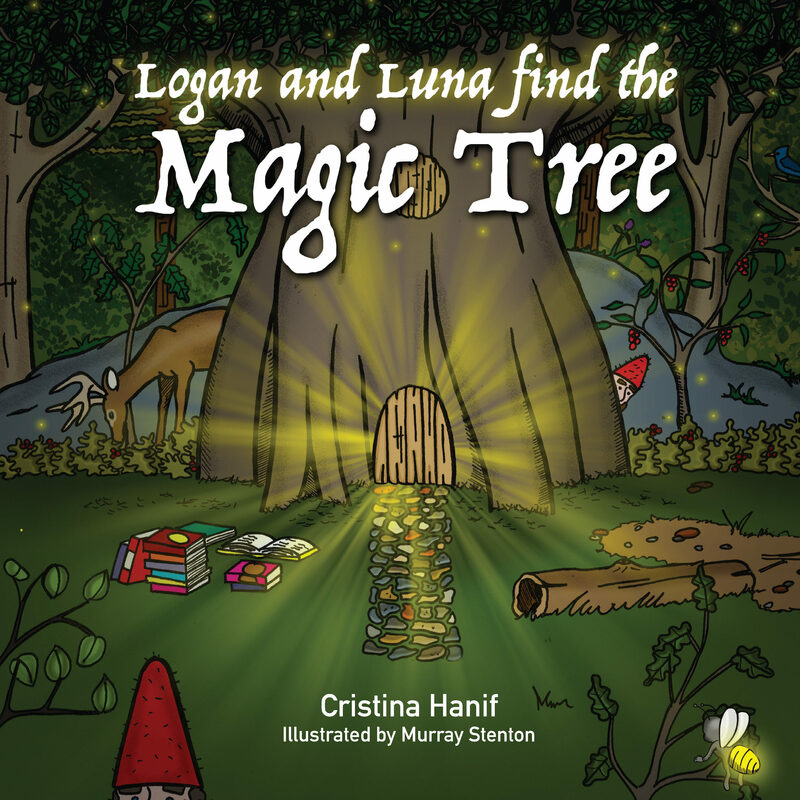 "Hanif's debut children's book, Logan and Luna Find the Magic Tree, is a delight. The magic tree comes to life for young readers sharing the joy of stories with their own families, just as it has for Logan and Luna. A touching story about the power of imagination bringing together today's busy families." "Cristina Hanif captures the reader's interest as soon as you begin reading. The family's life in the city sounds like your own, and you know there must be something even better to come. As a teacher, I love the special bond that Logan and his grandfather have, especially since it involves their love of reading. This would be a great book to read." "This story encourages children to believe in themselves, adults to hold on to the magic of imagination and for us all to open our eyes to a world of possibilities."